TOKYO (Reuters) - Honda Motor Co expects to recall more than 1 million more vehicles with potentially defective air bags, expanding a massive, multi-company air bag recall, according to a person with knowledge of the matter. The recall involves faulty air bag inflators supplied by Takata Corp and would follow a similar move this week by Toyota Motor Corp. The Honda recall should be announced by the end of June, according to the person who asked not to be identified. Honda, while waiting for further information from Takata on its inflator problems, is also investigating on its own how many vehicles it may need to call back and where they are, according to the individual. The number of vehicles it could recall is likely to exceed the 1.135 million vehicles Honda called back globally last year, the person said. 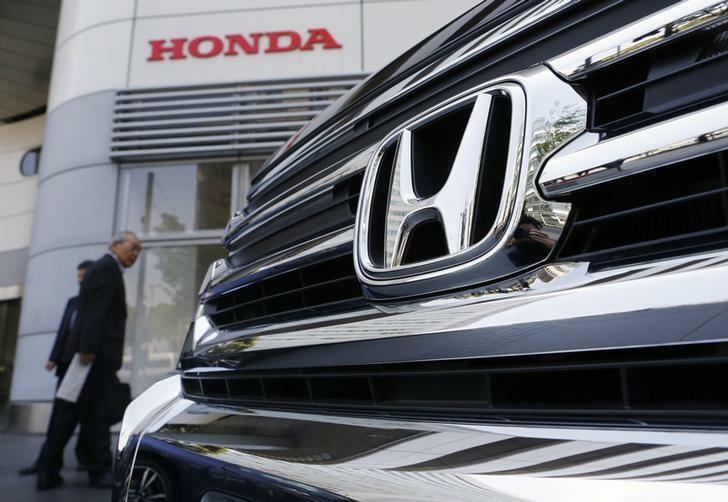 Asked whether Honda will expand airbag-related recalls from last year, spokeswoman Akemi Ando said: "We are conducting investigations quickly and if we decide that there are vehicles that should be called back, we will swiftly file for a recall." Toyota, the world's largest automaker, on Wednesday called back 1.62 million previously recalled vehicles outside of Japan as well as 650,000 more in Japan not previously recalled. The additional vehicles brought to more than 7 million the total number of cars equipped with Takata air bags to be called back worldwide over the last five years. Toyota's recall from 2013 was a part of a bigger recall by car makers that also include Honda, Nissan Motor Co and BMW. In total, they recalled about 3.6 million vehicles with air bag inflators that could explode in an accident and send pieces of shrapnel into the vehicle. Toyota said it has determined that the serial numbers of potentially faulty inflators that Takata previously supplied were incomplete. Takata said it supports Toyota's decision to recall the vehicles. The U.S. auto industry regulator, the National Highway Traffic Safety Administration, said it had opened a probe this week into an estimated 1,092,000 vehicles made by not only Toyota, but also Honda, Nissan, Mazda and Fiat SpA's Chrysler Group after receiving six reports of air bags not deploying properly in the humid climates of Florida and Puerto Rico.